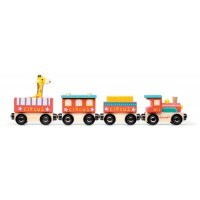 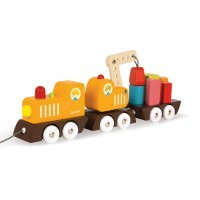 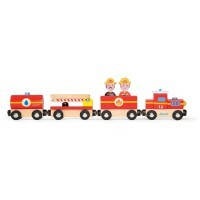 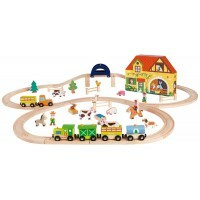 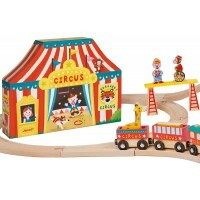 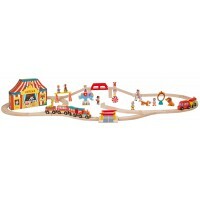 Silent wheels with non-slip rubber and crafted from beech and cherrywood, the Zigolos Train is FSC certified and a must-have for the nursery. 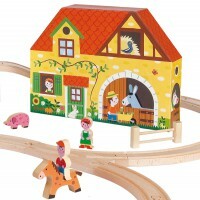 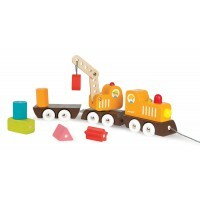 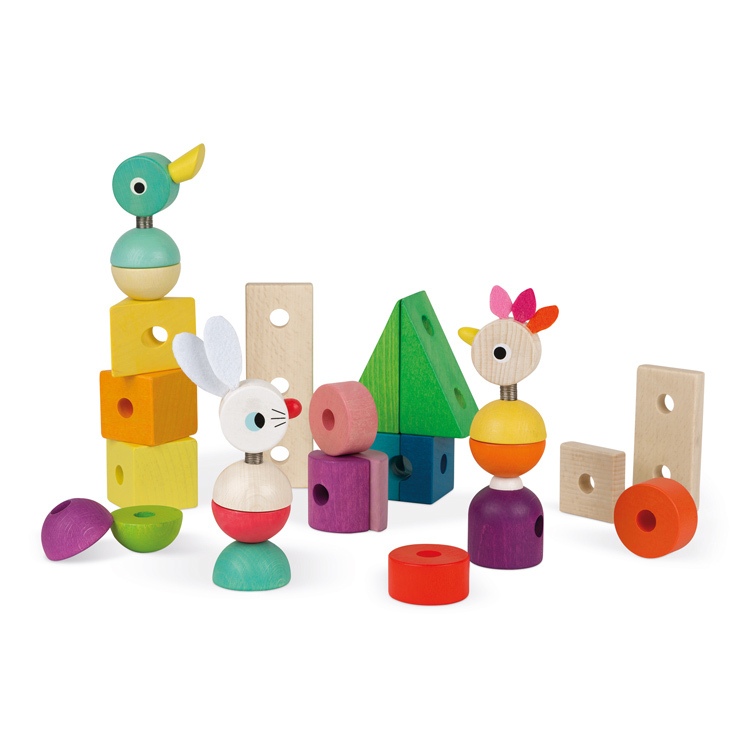 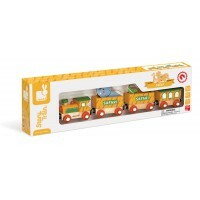 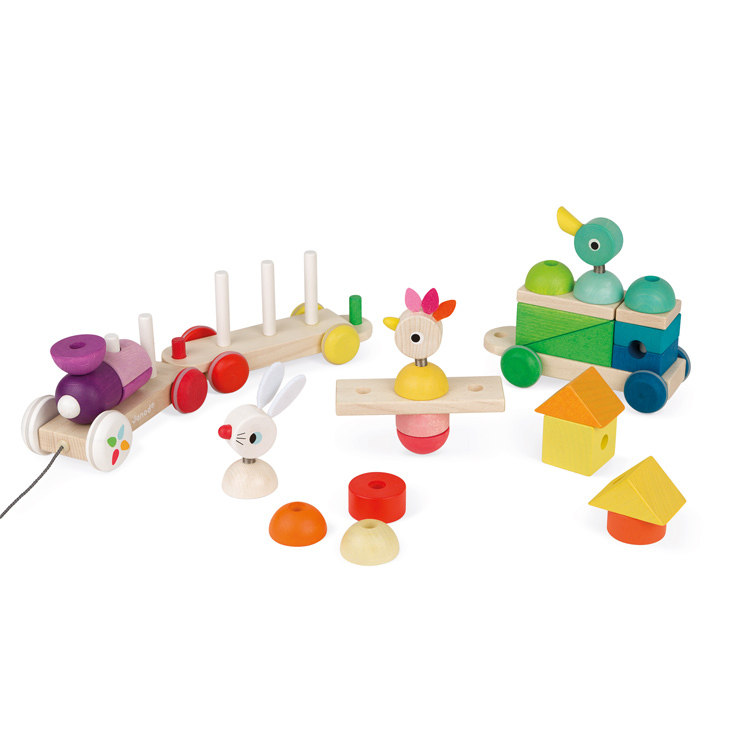 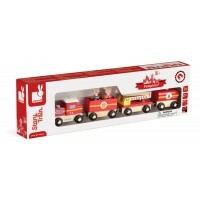 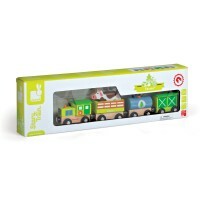 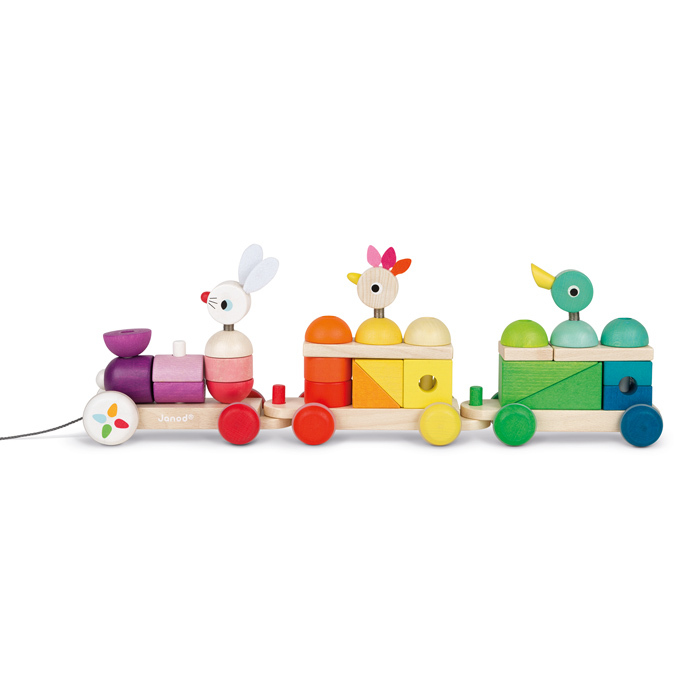 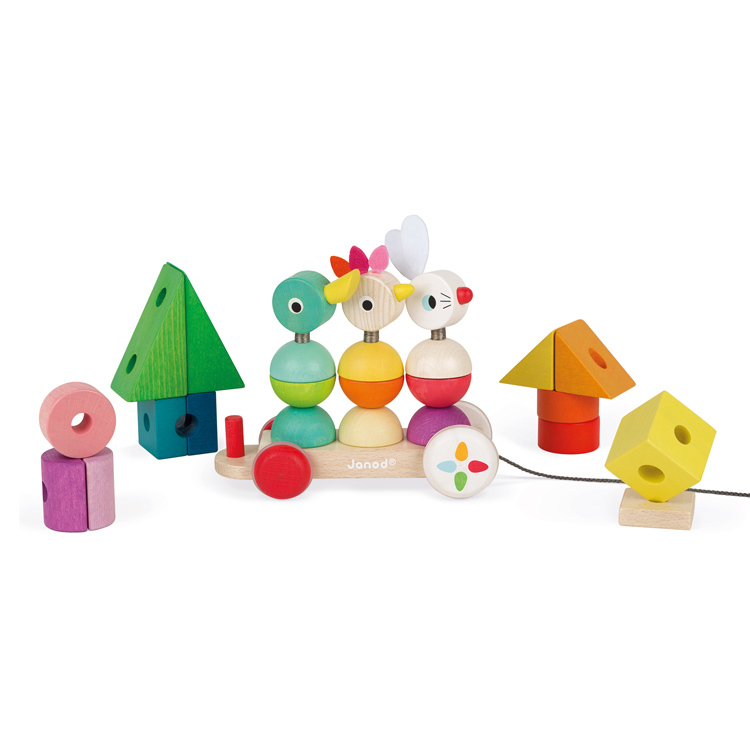 The perfect way to introduce colour and shape recognition the train comes with loads of blocks to stack and match and then once the rabbit, hen and duck are on board, you can take them all on an adventure. 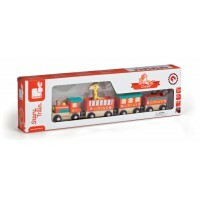 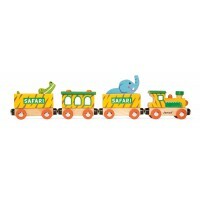 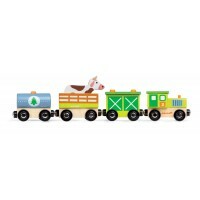 The wagons interlock so you can drop off each animal at their destination and pick them up on your return journey!